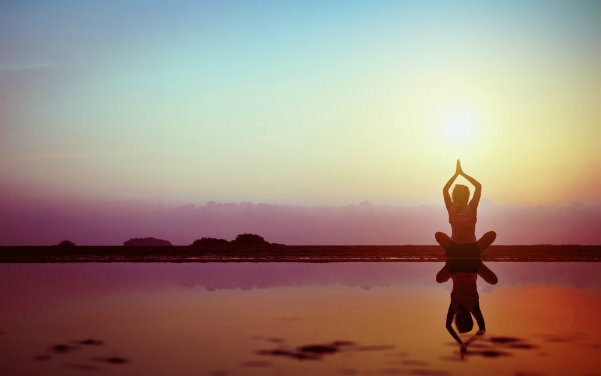 One amongst the basic 5 yoga principles is Meditation. Meditation is that practice which involves a steady observation of one’s mind. The practice requires one to focus the mind at a particular point in order to still the mind so you can clearly perceive what is known as the ‘self’. It is proven that through practicing Meditation, a person can, over a period of time, reach greater intellect, strength, will power and increased determination. 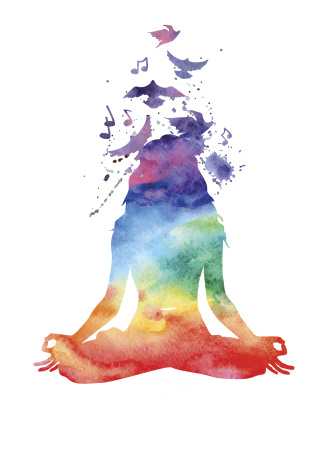 Furthermore, yoga and meditation can help you attain a clear mind, increase concentration, and help you discover the tranquility and wisdom within you. Focusing your attention a 100% in one particular area is what Meditation is all about. This practice brings with it a heap of well-revealed health benefits which includes an increase in concentration, decrease in anxiety, and the general emotion of happiness. It is seen that people try meditation in great numbers, but only a small percentage of these people actually continue to meditate through life. Unfortunate as it is, I feel that a possible cause for the same is that majority beginners don’t understand the mindset which is required to make meditation practice sustainable. Make meditation a formal, everyday practice. The only way for you to reach the next levels in meditation is by having a specific time where you sit still and meditate. Always begin with concentrating on your breath. Deep breathing will slow your heart rate, relax all your muscles, help you focus your mind and is therefore the ideal way for you to start the practice. You must stretch before you begin. Stretching will help loosen all your tendons and muscles and thereby comfortably letting you slip into the seated meditation posture. Furthermore, stretching kick starts the “going inward” process and brings an added volume of attention towards the body. Always meditate with a purpose. All beginners should know that meditation’s an ACTIVE practice. To focus your attention at a single thought/target is very hard work, so you must be purposefully occupied! Know that frustration will creep in. Beginners always fight with thoughts like “why am I here?”, “what am I doing?”, “why can’t I quiet my mind and focus my thoughts?” Whenever this happens, try focusing on your breathing and release all frustrated feelings. Free yourself of the objects in your mind. Allow yourself to feel all parts of your body. When the meditative state has begun to take its hold, the beginner must become aware of his/her body. Once your mind becomes still and quiet, focus at your feet, slowly moving up from the feet (including all internal organs). If you can achieve this, know that you’re on the right track. It’s good to have a specific room or spot for daily meditation sessions. Your meditation spot shouldn’t be the area where you sleep or work. 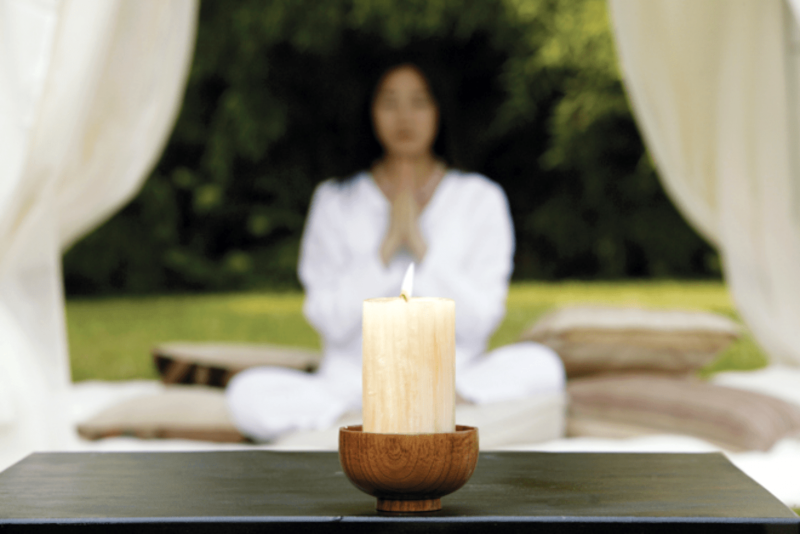 Placing spiritual paraphernalia and candles inside this space will help you to feel comfortable. 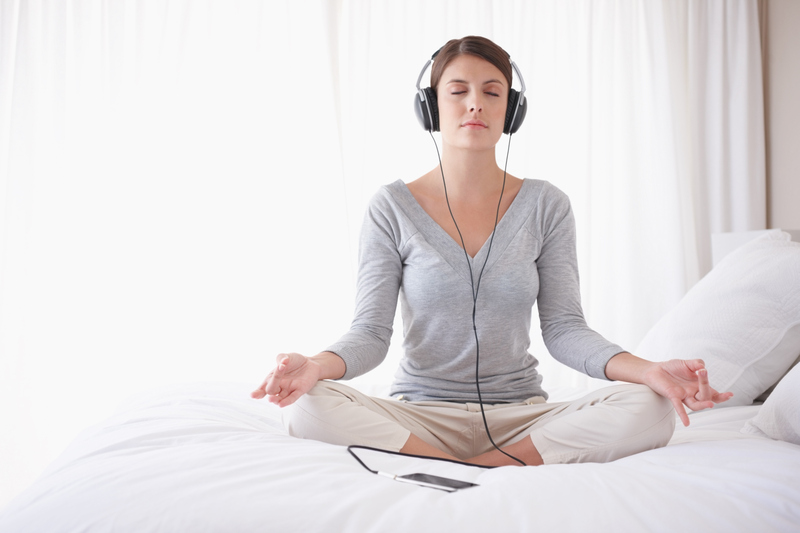 Listening to relaxing music can be of great help to relax your mind if you’re in an agitated state. Don’t push yourself, just let go and relax. Keep away from distractions. Beginners are usually easily distracted, so keep your cell phone on silent mode, rid your mind of daily duties, etc. the phone ringing, a coffee pot whistle or your kid crying may distract you and you won’t reach a deep relaxation state. Beginners find it very challenging to meditate with their eyes closed. So use a candle. Light a candle and use it as the spot where you focus. This will help you strengthen attention span and can be extremely powerful. This is a great post! 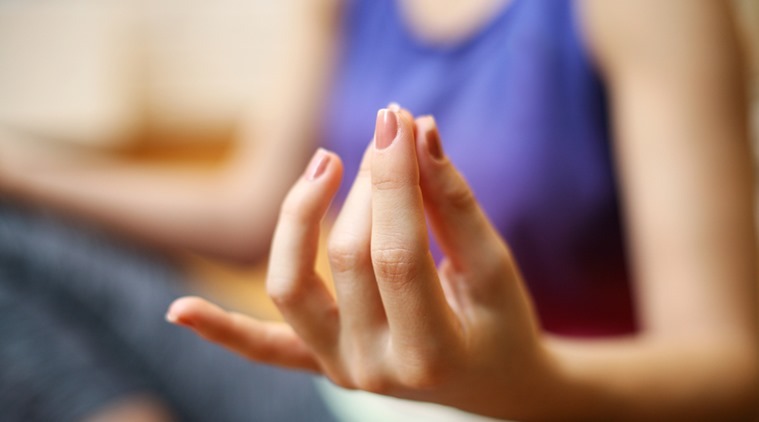 I think you’ve beautifully touched upon all crucial aspects of meditation for beginners. Thank you so much Maneera!